Evo & Grace: The WanderLusts: His name is Asher, yes its Asher Lev. Art imitates life, Life imitates Art. That’s the point in Twin Bill Theater newest production of “My Name is Asher Lev”, written by Aaron Posner as adapted from the novel by Chaim Potok. 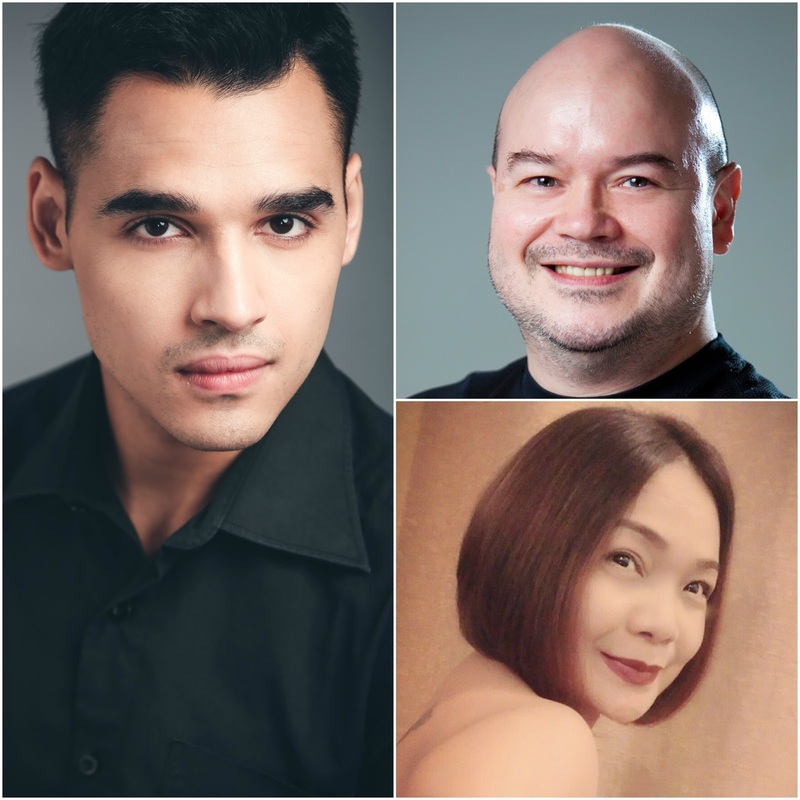 This is under the direction of Steven Conde and stars Nelsito Gomez in the titular role, with Robie Zialcita and Naths Everett. Asher Lev is a life story set in 1940’s Brooklyn of an upcoming visual artist or painter who have the roots of Hasidic Jew. He struggle about his ideals in expressing his talent, skills that was rejected by his community as well as his own family, but he fight for his Artistic freedom and the price he must pay to achieve it. Gomez as charming as he is, act crafted as Asher, you will appreciate him here as he almost didn’t go off on stage during the 90 minutes performances, those kilometric lines and changing of emotions from one scene to another, actually you will feel tired somehow but the energy Gomez is showing, the excitement on his face is a catch, at first I thought it just a minor take on drama, but as soon as the story subside, you will see it as a heavy drama. Zialcita and Everett versatility is test in this play, at one scene they are the parents, then change to a Rabbi to a model and so on and so forth. They perfectly manage the blocking somehow to think it is a intimate theater experience, where audience and main theater is at all side. Maybe not everyone is an artist, but Asher Lev will teach you that it’s not everything is about expressions, maybe not all can relate to his ideals as a person who appreciates and loves art, but it connote you that dreaming to be someone, someday will help you molds your future and who you want to be. 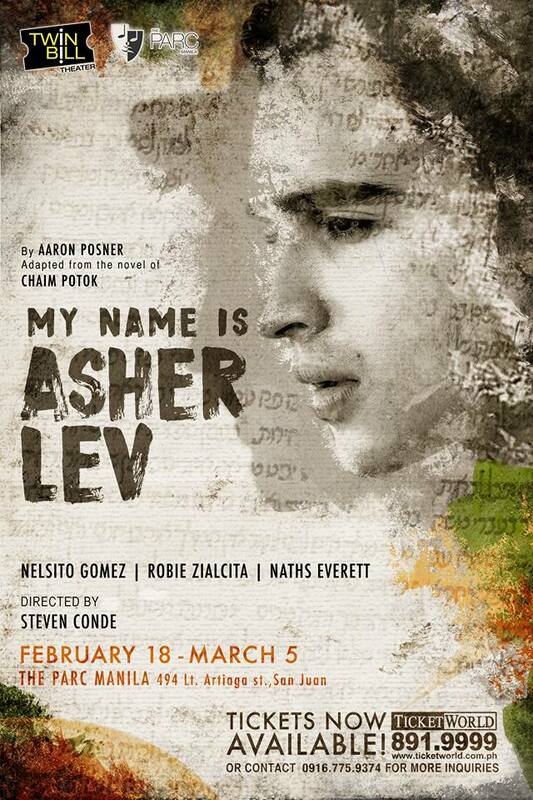 My Name Is Asher Lev opens last Feb 18, and will have two remaining shows this March 4 and 5 at 3pm and 8pm show, only at PARC Manila with the address 494 Lt. Artiaga Street, San Juan City. For ticket inquiries, go to ticketworld.com.ph / 8919999 or contact 09167759374. Twin Bill Theater production of My Name is Asher Lev is presented by special arrangement with Dramatists Play Services, Inc, as part of their Season Two. To know more about Twin Bill, find them on Facebook at https://www.facebook.com/twinbilltheater or visit website,:www.twinbilltheater.com. For updates, follow their social media account (Facebook, Twitter, Instagram): @twinbilltheater.